Interview by Claire Sykes. Home page cover photo © Jimmy Williams. Against a sonic backdrop of Aerosmith’s driving “Dream On,” the graphic and the fantastic, the psychedelic and surrealistic keep the beat of this 1973 rock ‘n’ roll hit in Photoshopped still images celebrating Adobe’s 25th birthday. The 60-second commercial, designed by Goodby, Silverstein & Partners, aired on the Oscars in February 2015. 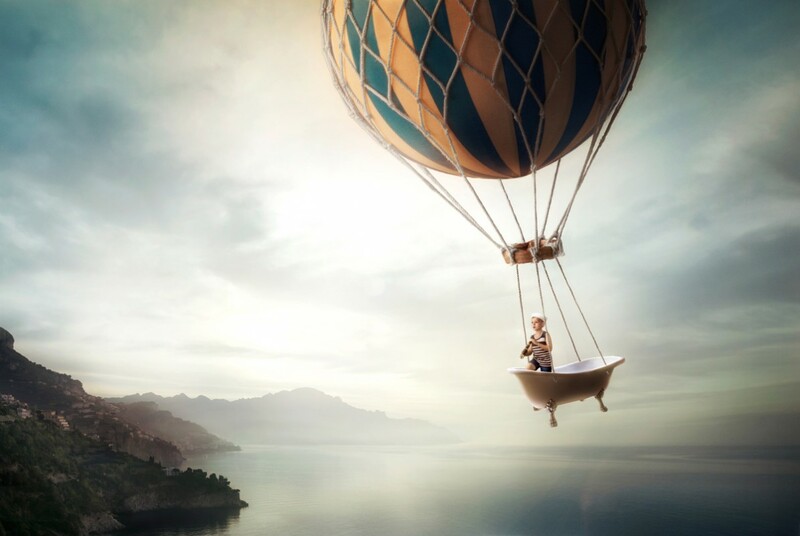 About three-quarters of the way through, and just for a second or two, a boy in a sailor cap holding a small telescope stands in a bathtub hanging from a striped hot-air balloon that drifts above a cliff-lined sea. Williams’s photo won him the Photo District News Self-Promo Award 2015, which joins nearly a dozen other awards for his work in the past several years, including The Addy Awards, International Photography Awards, FotoWeek DC International Awards, Communication Arts Advertising Annual and the Lucie Awards. He has licensed his Adobe-commercial image to at least three companies, and to a couple of advertising agencies for their internal use; and it appears in National Public Radio’s online article about Adobe’s anniversary. From Caribbean beaches and the Tuscan countryside to Tahiti and the base of Mt. Fuji, Williams has traveled to many of the world’s most stunning places “to capture the perfect photo for my clients,” as he puts it. Since 1976, U.S. Virgin Island Tourism, Norwegian Cruise Line, Harley Davidson, American Airlines, Bank of America and others have turned to him for his location and studio photographs, Photoshopped and not. They’ve also been highlighted in The New York Times, LensWork, Colors Magazine and Black & White. He still enjoys that creative and challenging assignment, but more and more personal work, like Dreamscapes, is finding its way into his portfolio. 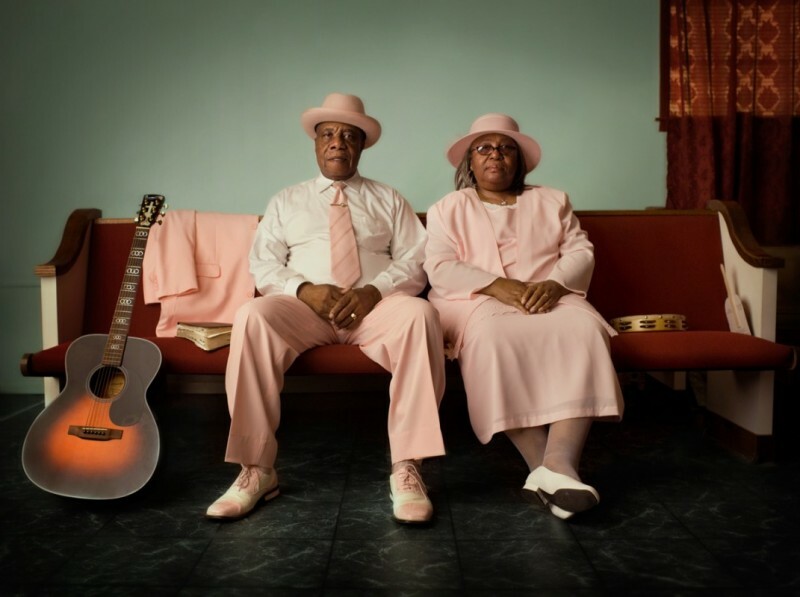 From his 4,000-square-foot studio that he’s had for the last 33 years, Williams talks by phone with Claire Sykes about that series and others, how he dreams up ideas and brings them to life, and what matters most to him when he’s got a camera in his hands. What first inspired your Dreamscapes images? 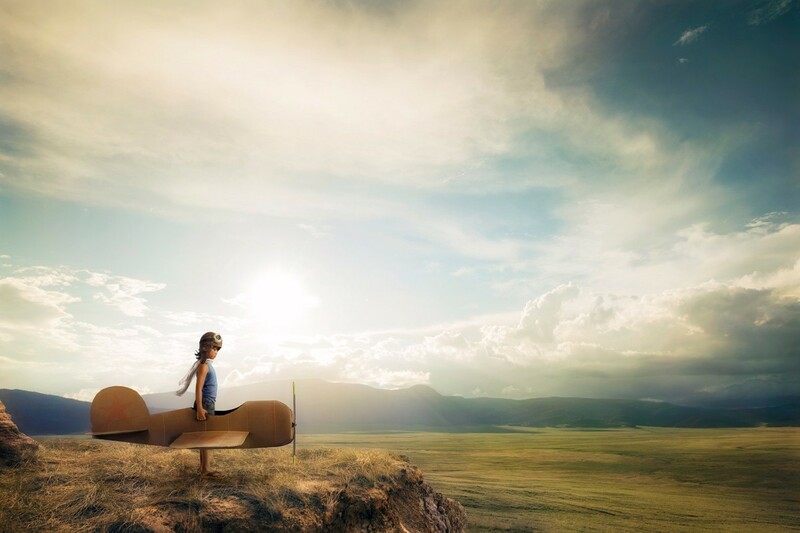 Even before the invention of Photoshop, I’d always wanted to create a photo series about childhood dreams. Now, today, if you can dream it, you can create it. I’ve modeled this series a lot after my most remembered childhood dreams. I always want the viewer to feel what I feel when they see my photos, and in the Dreamscapes series, I’d like people to experience my dreams, to put themselves into the photos. I often am told, when I show the photographs, that they “feel like dreams.” This is before I even mention that I’ve titled the series, Dreamscapes. So perhaps I’ve accomplished my goal. But it wasn’t until the technology became so advanced that it was possible to achieve the look I’d envisioned—one that’s magical and mysterious, child-dreamlike and fun. The sky, and things that float and fly in it, figures prominently in your Dreamscapes photos. Why? I feel there’s a great deal of power in the sky, that a great deal of energy comes from it; and it sets the entire mood of the photo. Sometimes there are enormously powerful cumulonimbus clouds that feel bigger than the earth itself, and other times, the clouds are delicately soft and wispy or threateningly dark and scary. I’ve always created photography where the sky played a very strong role. Now I have the ability to digitally add intriguing and mysterious elements to the image. In the Dreamscapes photos, the sky helps to quickly establish a mood and generate the feeling and emotion I’m looking for. From finding your subjects to creating the actual images, how do you construct the Dreamscapes images? What do you consider regarding location, subject, composition, color, lighting and narrative, etc.? There are a lot of moving parts in putting these photos together, and it’s not always linear. But basically, with all my photography, I start with the feeling. What is the feeling and mood of this photograph? That’s also what I react to first when I’m shooting. I consider the emotional aspects in the photograph essential to it being successful to me as an artist, and to the viewer’s experience of it, as well. 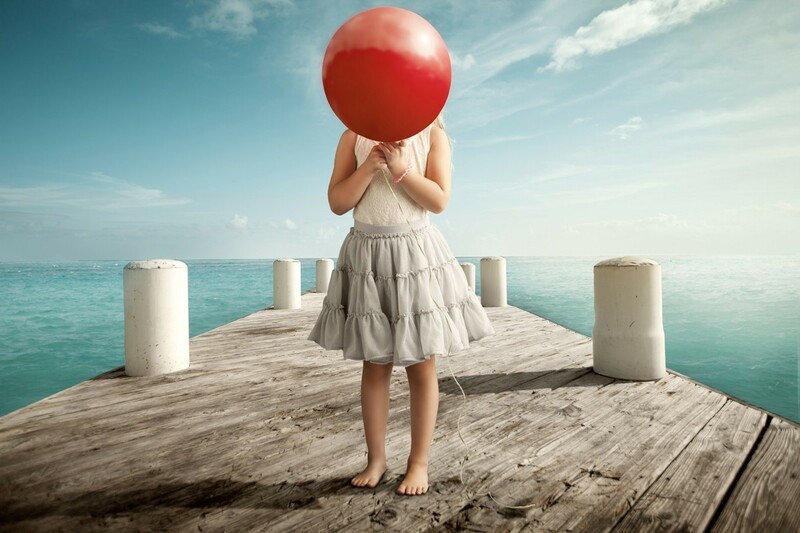 For the Dreamscapes photos, next I’ll think of a theme, balloons, for instance. Then I think through “dream” ideas that might be fun, quirky, mysterious and just interesting to me. From there, a series idea emerges. At somewhat the same time, I’ll research my extensive stock archive of photos that I’ve taken that could provide a suitable background for this series. If you notice, each of the Dreamscapes photos has stunning backgrounds. I didn’t go out and shoot those for most of the images in this series. I drew from images I’ve created over many years, which also include landscapes, people and animals. Once I’ve solidified the idea and the background, I begin the process of creating all the elements that make up the photo. By the way, it is important to note: I don’t do all of this myself. My wife and business partner, Dorothy Howard and I work very closely together, along with our team of five people who help with everything from beginning to end, including the creative concepts, research, styling of props and wardrobe, finding the appropriate talent and executing all of the digital artwork. Every element has to be photographed with a high degree of attention to details, to keep the overall photo integrity consistent with every component in the final photo, such as camera angles, lens length, color temperature, lighting direction and image quality. And the connection with the subjects within the photos is pivotal; they must be captured within the true spirit of the photo’s narrative. How does the Dreamscapes series fit with the rest of your work? I go after the magical, quirky and mysterious a lot in my work. You can see it in different ways in different photographs. Not in every one, but there’s a hint of it often. Up until this series, though, my work had been very photo-realistic. However, retouching has always been a significant part of all my photos. It’s just that, with the other series, you can’t tell because it’s intentionally done in such a way that keeps it photo-realistic, so you don’t know I’ve done it. But with the Dreamscapes series, you obviously can tell. And I want that. Aside from the artistic value of the series, I have another motive. I want to promote my stock archive of photographs to clients, and make them aware of the value of it and being able to use it, not just by me, but also them, letting them know they are available to license these images from me. Second, I want clients to understand that retouching is a significant part of my studio’s capabilities, and to associate me with creating beautiful and conceptual imagery. They’re not just pictures of things. They’re stories, and interesting ones. How do you see the Dreamscapes story continuing? I think the next stage could be to take what’s in the Dreamscapes and create something new about adults’ real-life experiences. It would be more of an adult dream. I think it’s taking the children’s-dreams concept, but generating stories around adults. It could be about their dreams or fantasies, and their fears, hopes, desires, etc. It’ll be emotional, whatever it is. I don’t know where it’s going, yet, but I’m starting to see some vision as to what it might be. What inspires you, in general, with your photography? I find that the most important element of the photo is the story being told and the artistic vision in the way it is expressed. This allows for constant challenges, which spur growth and evolution in my art. I also still love and am excited by the interaction with my subjects when photographing them, knowing that I have to rise to the occasion time and time again to achieve something unique and special. That never seems to grow old for me. How do you come up with new ideas, and stay fresh? A lot of my ideas are spontaneous and come to me when I’m creating the photo, perhaps even more than when I’m conceiving the shot in advance. Some artists conceive the photos’ ideas wholly in advance and then execute. I want to be loose on the front end and have the magic happen when I’m photographing, as well as in post-production. I’m clear on the feeling I’m after and seek it in each step. I’ll capture the main elements of the photo and then, somewhat like a painter, when I’m retouching the photo I step back and look at it, and think what more does the photo really need to make the story more interesting and express the feeling I’m after. Ideas also come from shooting my personal work, like the Dreamscapes series. Once in a while, a client’s project may be a catalyst for an evolution in my work, as well. They may have an interesting idea they want me to execute and it may not be what I’ve ever done or am doing. But more often than not, inspiration comes from my personal work, from finding something I’m passionate about and pursuing and creating work I’ve never done before. And this happens because you don’t have the constraints that you do when shooting for a client. A client comes with the need to and a set of requirements to accomplish a certain result. But when you shoot for yourself, you start with a blank canvas, and that’s where the magic happens. You’re able to experiment and evolve toward something brand new. Are you working on any personal projects now? If so, what are they? I have several projects underway right now. One is Equus. 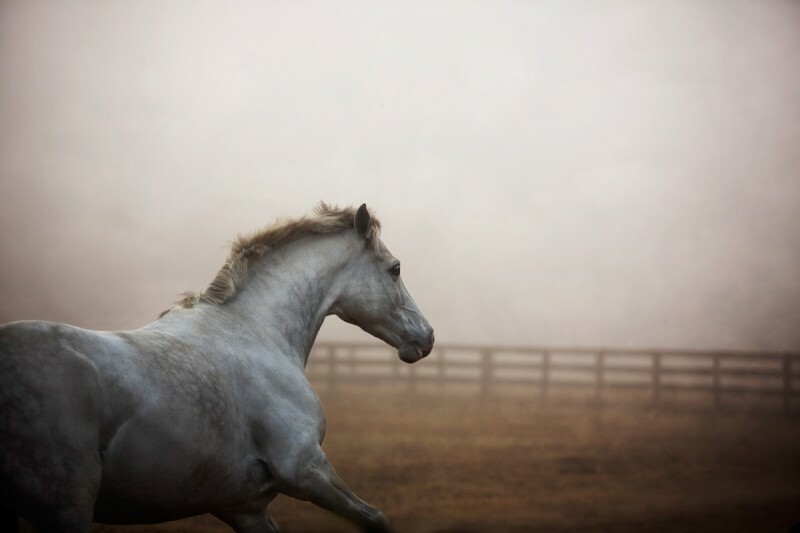 I’ve photographed horses off and on over a long period of time. They are just magnificent creatures typically surrounded in beautiful settings. There’s a lot to love here. Recently, as a member of a local art gallery, we hosted a benefit for an organization called Corral that supports rescue horses and at-risk teenage girls. I was one of 20 artists—I’m the only photographer—who were asked to create works related to horses that the gallery then sold, and the profits went to this organization. So I continued working on this series a result of that benefit, because I enjoyed it. 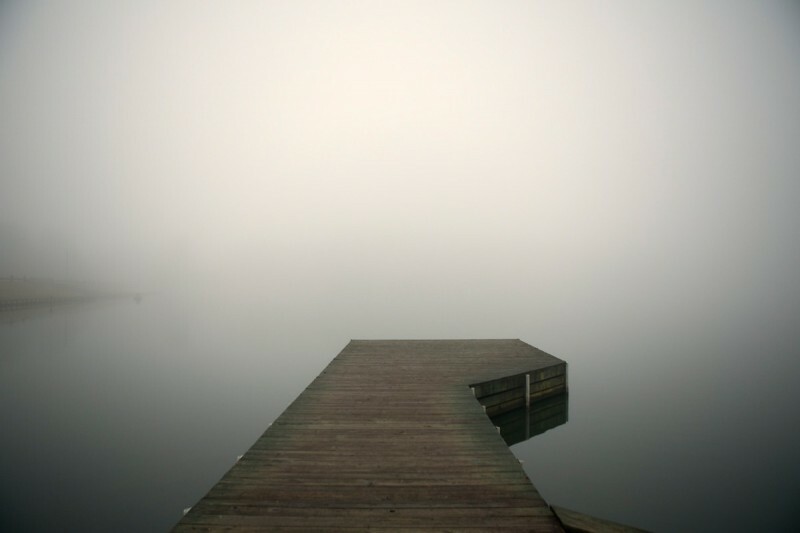 Another series I’m working on is Fog, which came out of my long-time fascination with fog. It’s so elusive and fits all the criteria of the things I say I like—mystery, magic, illusion. It has such delightful and constantly changing lighting qualities. Music Makers is an older project that I started about ten years ago, because I enjoy blues. 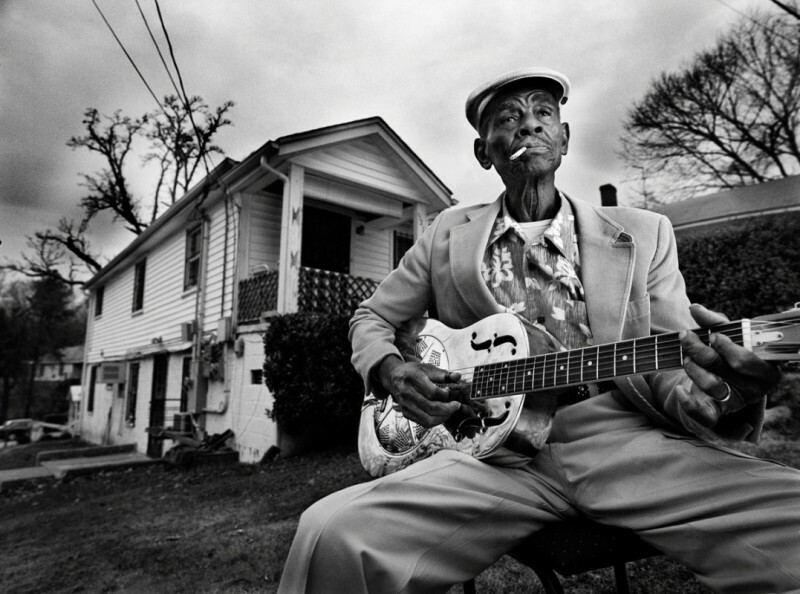 I began photographing blues musicians in the South, as a promotion for the Music Maker Relief Foundation [in Hillsborough, North Carolina]. 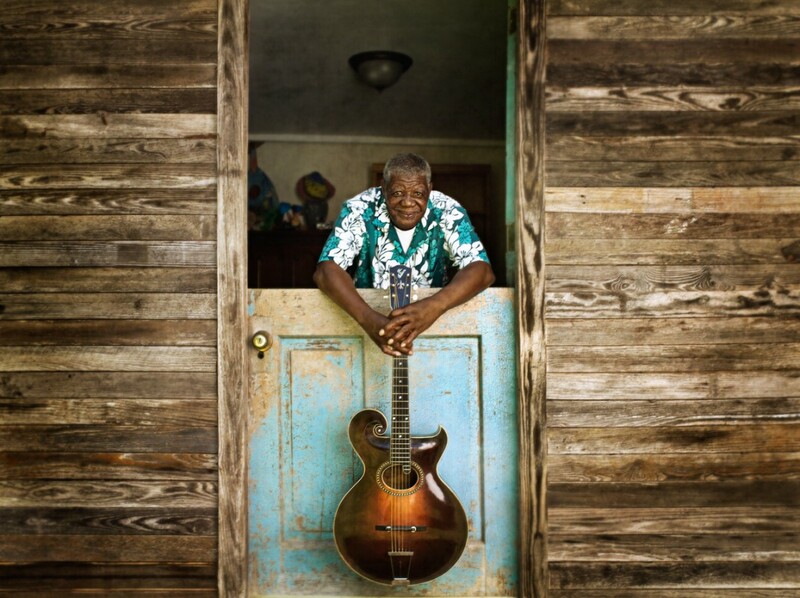 It was an opportunity for me to work with blues musicians, who I find fun, quirky and fascinating. They are completely unpretentious, down-to-earth and authentic. Every quality, from their personality to their music to the clothes they wear, echoes who they are in such a beautiful way. 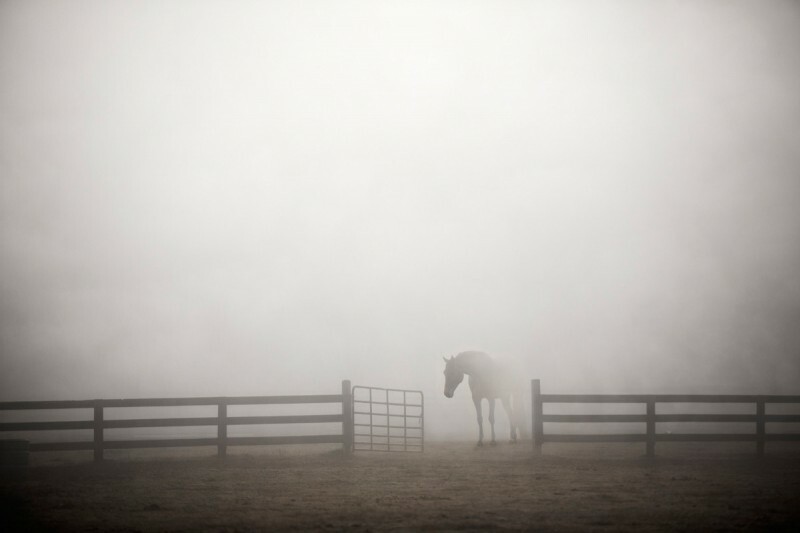 Like Equus and Fog, with the Music Makers work, I’m shooting something I feel passionate about, but others also benefit. All three of these personal projects have their own look; they’re visually different from each other. But I think you can look at them and feel that the same person did them. What is the unique you that people see in your work? The one overriding characteristic of my work, but I’m not sure it pulls me out of the crowd, is the painterly visual quality I try to achieve, which I think also carries an emotional component. That is true whether I’m working on the Dreamscapes, largely created digitally through compositing, or whether it’s me shooting a very real scene, something that’s basically in-camera the way it looks to the eye. But it’s the way I finish the photographs that ties them all together and gives them the painterly quality I’m after. It’s what I hear most often that other people say of my work. And when I photograph people, there’s a unique connection I make with them. This adds a different layer to the work. I try very hard for the camera to not be between me and the person I’m photographing. I don’t want a wall between us. So when there’s a person in my photograph, you often feel that the photographer must have been a close friend or family member. You feel that the person in the photograph is very relaxed and comfortable, and there’s this connection between the subject and photographer that’s apparent. This happens with people I’ve known for years or just met five minutes ago. Why do you think it’s so easy for you to connect with your subjects? That’s a really good question. I don’t know how to answer it, except that my personality is one that’s approachable. I really see myself as an introvert, but when it’s time, I’m able to connect. I think a lot of this comes from the way I was brought up. My parents worked the family business, a soda shop of sorts, in the small town of Concord, North Carolina. I was always there after school and during summers, and people were coming in all the time, so I was constantly talking with people of all walks of life. Being exposed to so many different kinds of people created a comfort level with strangers, so perhaps now I feel relatively comfortable with someone I just met, and I think they feel comfortable, as well. I think that’s important, to be able to photograph people. And photographing people is about 90 percent of what I do. What do you look for in the people you photograph? Everyone comes pre-equipped with who they are as a person. They’re shy or outgoing, or maybe they have an interesting smile or they’re a jokester. They are whoever they are. I don’t overthink this; I observe it, and try to capitalize on what’s unique about them. I don’t force them to be who I want them to be in the photograph. I just try to capture who they are. For most of my photographs, it’s the personality that I’m after in the photo. Again, it’s not like I try to figure it out. I observe who they are. You can see it. You can tell what makes them excited, in their face, their expression, their body language. You can see what’s visually interesting about a person. And then I capture it. That’s where I gravitate towards. That’s what I feel is important. And I believe this connection is consistent in all my photographs of people. When you look at your photos, what do you see of yourself? A hint of mystery, a feeling person, an emotional and sensitive person, a quirky person. All the same things I’ve been saying that describe my work. Interestingly, when I first started photographing, over 40 years ago, all the characteristics I’m talking about now were the most important ones that I sought out in creating a photograph, even back then. What drew you to photography, and when did you start photographing? I can remember taking my first photo back in the late-50s, with my family’s Brownie Hawkeye. Such a cool camera. Just a little square box that you had to view the subject by looking down through the viewfinder. You could hardly even tell what you were seeing. It was a magical device for a kid. It has a side-attached flash with one-time-use flash bulbs that came in a carton, like eggs. And when the flash was fired, it was awesome. Later, in Boy Scouts, I got a merit badge for photography, which was more about developing film and printing than it was about taking photos. But it wasn’t until 1972 that I really connected with photography. My first real camera was a Nikonos underwater camera. Scuba diving was also a passion of mine at the time, but I used the Nikonos for street photography, too. The camera could only be focused by estimating the distance, and I had to guess the exposure. Oddly, that simplicity removed a lot of mental obstacles from the picture-taking process and left you concentrating on what was important and what you really wanted from your photo. I was captivated all over again by the magical qualities of being able to photograph and create works of art that came by way of a camera, instead of a brush. It was at this time that I entered the school of design at North Carolina State University. Although my curriculum was more about creating ads and graphic design, I always found a way to work my own photos into the solution for each assignment, which seemed to get a good reception from my classmates and teachers. The school really only offered a couple photography classes, which were primarily centered around your vision and creativity. That left me with learning the technical side on my own, which in the 70s was not an easy task. There were very few books on the subject of advertising photography or large-format 4x5 or 8x10 cameras. Lighting equipment was completely trial-and-error, as strobe equipment or lighting techniques were just not a subject available in books or classes. By the time I graduated, in 1976 with a B.A. in Visual Design, I felt that I was good at it, and people seemed to like my work. I had a great deal of passion for the camera that I picked up seriously in 1972. And I haven’t put it down since. How did your photography career develop? If I’d followed that career path, I would’ve been a designer or art director. Now those are the people who hire me. When I graduated, I went looking for a job as an art director or designer and I got several agencies saying they didn’t have a need, but they did have a photography assignment for me. That was OK, because I liked doing it. I thought I was going out just to get a job and I’ve ended up finding a career spanning nearly 40 years doing what I have a passion for. What has it taken for you to not only stay in business, but also thrive, as a photographer all these years? In order to make a living with photography, I put a great deal of effort in further honing my technical skills. It wasn’t long before I found I had reached a point where I could create anything I could imagine, but I wasn’t going for the emotional content, like when I first started making photographs. Over the years, I’ve gravitated back to the emotion I want to create in my photos for both me and the viewer. And now I had the technical expertise to pull it off. There was a point where technology was no longer an obstacle between me and the ability to create, but now an asset to the work. Also, the photography business has transformed several times in my lifetime—but I’ve been able to stay current. You have to evolve with it. Just because you were very good at photography last year, last month, or five or ten years ago, that doesn’t matter now. Things change. People are looking for what’s new, different and interesting. They need to tell the same stories, but they need new ways to visually captivate their audience, which is also always changing. Now there are billions of images going by us, and the level of visual proficiency and education of the general audience is different than it was five years ago, and completely different from ten years ago. How has the way you’ve thought about your work changed with the changes in photography and audiences? I’m constantly moving more and more towards an artistic expression. I feel, more than ever, that the ability to visualize and create photography as a work of art is what’s most important, and allows you to set yourself uniquely apart. In today’s marketplace and with today’s technology, anyone can take pictures, even with an iPhone. But advertisers still need someone to tell a story that makes you feel something, creates emotions, and moves you and generates ideas that engage the viewer—and that’s what art does. So the only way you can remain competitive is to evolve your work artistically, which means it has to be uniquely you, because that’s the one thing other people can’t be. Being uniquely me is the one thing I get to own. Therefore, if I do a good job searching inside myself, I can better understand what makes me tick, how I see life, how I interact with the universe, what my feelings and emotions are when experiencing a new place or person. This in turn allows me to better understand how I want to tell the story, how I want the photograph to look and feel on the page, how to compose, all those elements that separate me from the crowd. I believe that is what helps people decide that Jimmy Williams is the right guy for the job. My goal is not to make my work look like anyone else’s work, but to remain true to who I am, and what is unique about me. I try to look deep inside and find ways of demonstrating my work that’s unmistakably me. The more I work on it and the harder I try, the closer I get. I don’t think I’ve accomplished it, but I keep trying.